The College of Nursing’s Undergraduate Commencement ceremony is scheduled for 6:00 p.m. on Saturday, May 4th, at the Eisenhower Auditorium on the University Park campus. Group Photo: A group photo will be taken prior to commencement in front of Old Main. 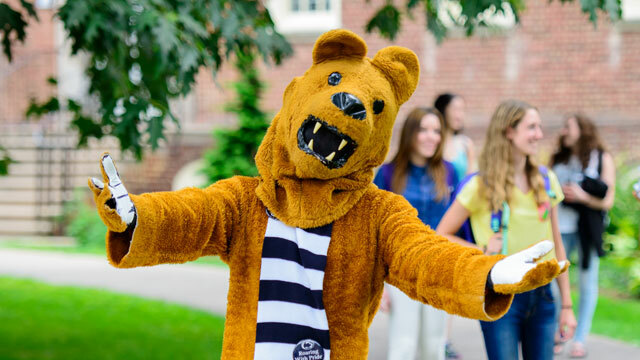 Students must arrive at Old Main by 4:15 p.m. Following the photo, the group will proceed to Eisenhower Auditorium for check-in. Check-in: All students participating in the commencement ceremony must report to the main lobby of the Eisenhower Auditorium NO LATER THAN 5:15 p.m. Upon check-in, you will receive a 4 x 6 card with your name printed on it. Please do not make changes to the printed name on the card. Your card will be collected as you enter the stage and the nomenclator, Dr. Chris Garrison, will announce your name as you walk across the stage and shake hands with the members of the platform party. Pinning: Dr. Raymonde Brown, Associate Dean for Undergraduate Education and the President of the College of Nursing Alumni Board will be waiting at the opposite side of the stage to shake your hand and present you with your nursing pin. Once you receive your pin, you will move off stage to have your photo taken. Staff will be on site to assist you. Ceremony: The processional will begin promptly at 6:00 p.m. and last approximately 80 minutes. Your diploma will be mailed to the home address you have on file with Penn State. Penn State encourages graduates with disabilities to participate in its commencement ceremonies.Please visit http://www.commencement.psu.edu/ for more information. Parking: Free parking will be available in Eisenhower Parking Deck, directly behind Eisenhower Auditorium. Please refer to the enclosed map for more information. Questions: For additional general information (including lodging), please visit http://www.commencement.psu.edu/.